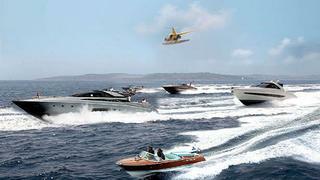 The world’s most prestigious Riva luxury yachts and their owners are coming together for the Classic Riva Trophy 2014. Held by Lia Riva, Monaco Boat Service Group and Yacht Club de Monaco, the seventh annual Riva race will take place on the 5 and 6 September. The historic sea racing competition will include stops in Monaco, Cannes and St Tropez. The top race for Riva enthusiasts will kick off in Monaco, with an estimated 20 yachts and 50 participants competing. The race will end in St Tropez and will be followed by a dazzling Brazilian Samba Night held at the La Plage des Jumeaux, featuring capoeira performances and Samba dancers. The second day will start with a luxurious Il Pase dei Balocchi-catered brunch at Place de La Marie. The Classic Riva Trophy Award Ceremony will follow on the terrace of Yacht Club de Monaco. A wide range of prizes will be awarded from the likes of Repossi Jewels, Veuve Clicquot, Vertu and Vins du Star. The whole Classic Riva Trophy event will be hosted by Maurizio di Maggio from Radio Monte Carlo and will be caught on film by Heli Air. The new Riva flagship, the Riva Mythos 122, will also be unveiled at the event.